The X4G is a feature-rich sip phone for business. 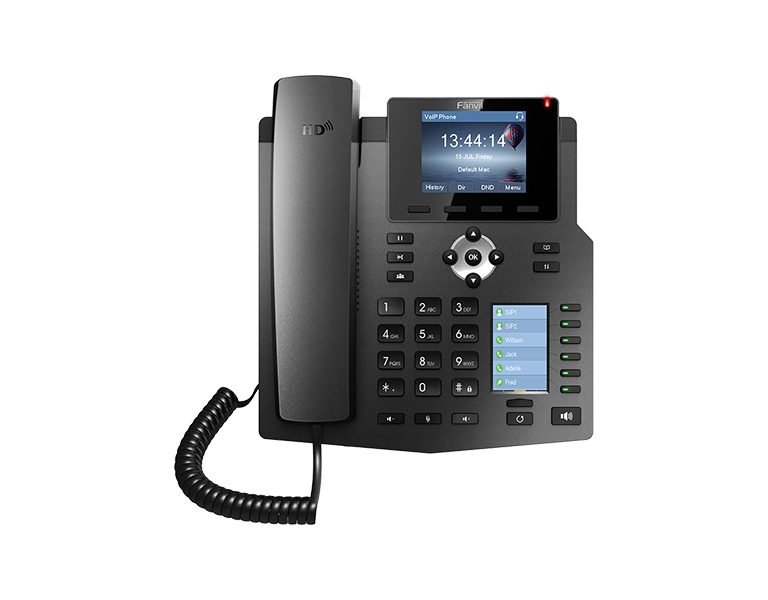 The 4-Line IP Phone has been designed by pursuing ease of use in even the tiniest details. Dual 10/100/1000 Mbps network ports with integrated PoE are ideal for extended network use. Delivering a superb sound quality as well as rich visual experience. 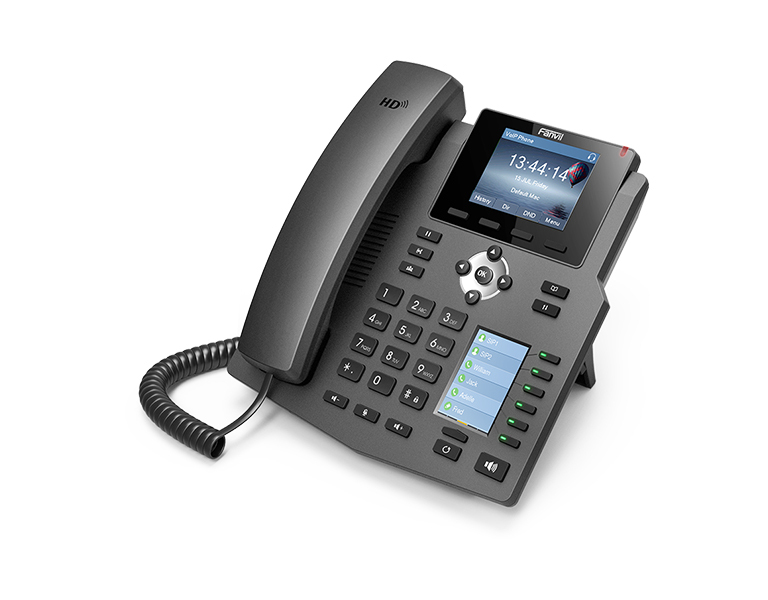 With second DSS color screen, the IP Phone supports up to 30 DSS keys which improve work efficiency. Using standard encryption protocols to perform highly secure remote provisioning and software upgrades. • DSS Key-mapping LCD – 6DSS keys corresponded to the LCD display to provide dynamic DSS/BLF functions up to five pages at virtualized total 30DSS keys. • Gigabit Ethernet – 10/100/1000Mbps Ethernet with POE enabled. • Economic and Environmental Friendly design with Elegant housing. • High Interoperability – Compatible with major platforms: 3CX, Asterisk, Broadsoft, Elastix, Zycoo, etc.